Beautiful Concrete and Stone Garden Sculptures! Stone statues look beautiful in any garden! They are also extremely durable. 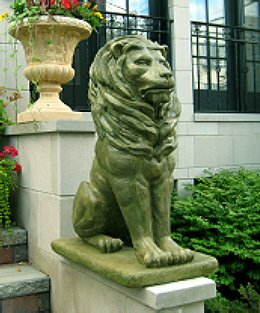 Stone lion statues are among the most bought outdoor garden statues and many of them are sold in pairs, just like this gorgeous one you see in this picture! It has a beautiful moss finish and it is very durable! 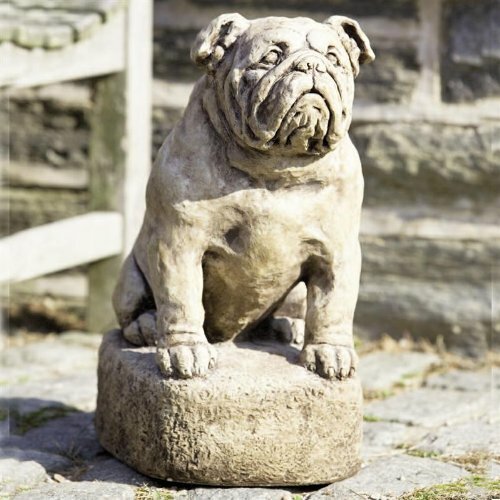 This is a very cute stone bulldog statue that has a gorgeous aged limestone finish! It will last for decades as it was designed to weather naturally. The price is not too bad either and you can also get two of them and place them side by side by your front door. 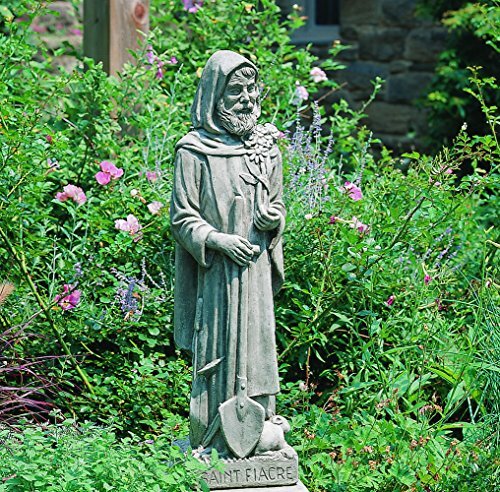 This is a beautiful St. Fiacre outdoor stone statue in a very cool greystone finish! He is wearing a robe and holding a shovel in one hand and flowers on another. Will look great among your garden flowers, just like in the picture! 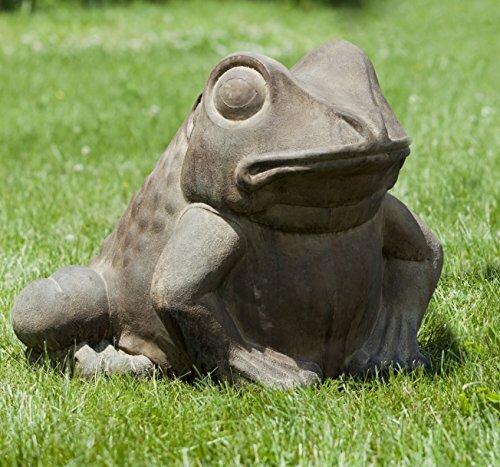 How about getting a giant stone frog statue for your garden? It has a nice Pietra Vecchia finish and will basically last for a lifetime! 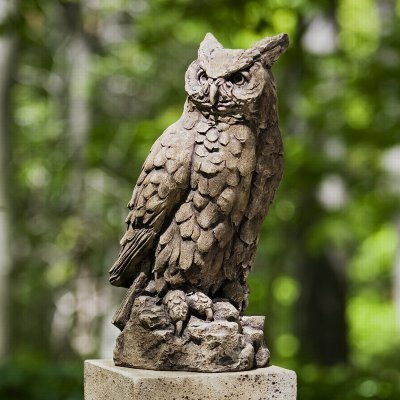 If you love owls and are also looking for a cool stone garden sculpture for your home, then I think this beautiful and highly-detailed realistic stone owl statue is perfect! I love her aged limestone finish and her beautiful eyes! She is about 20 inches tall. 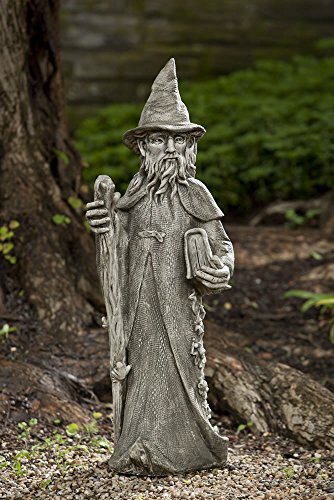 It’s a Merlin statue for sale! One of the coolest stone garden sculptures around in my opinion! Look at all the amazing details, from his facial expression to his beard and his clothes! He is also fairly tall, at approximately 38 inches. I love his alpine stone finish! 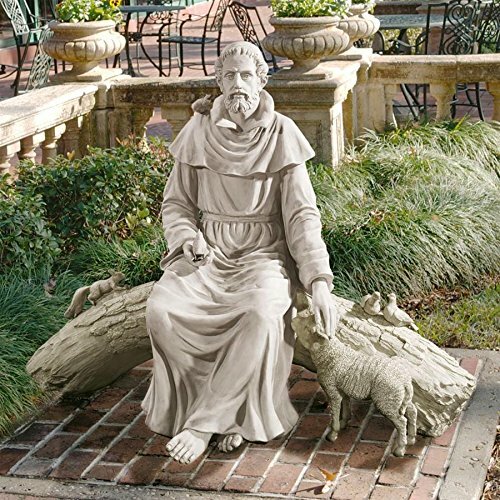 He will also make a beautiful gift idea for anyone in the family who loves St. Francis! 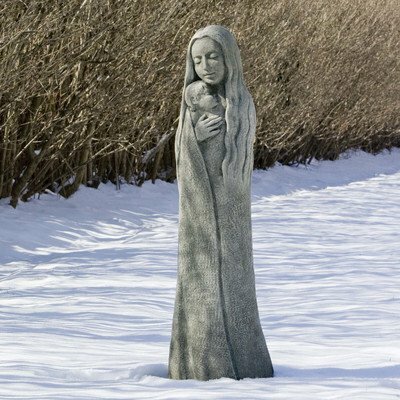 What a gorgeous mother holding her baby outdoor stone statue for sale! She has a gorgeous alpine stone finish (my favorite) and she stands 34 inches tall. I would definitely place her near beautiful flowers! 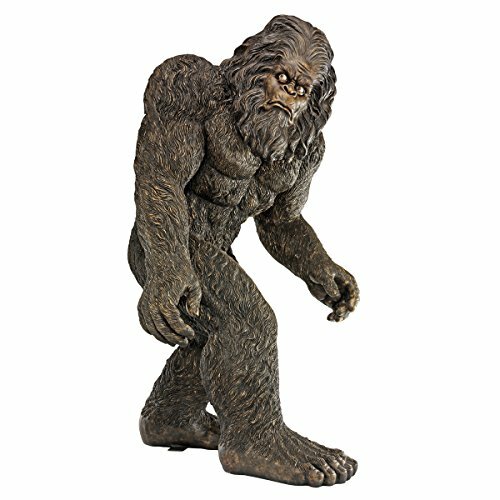 A LIFE-SIZED BIG FOOT outdoor statue for sale! I bet the whole neighborhood will want to take a picture next to your giant Big Foot statue! What a stunning ‘Lady of the Lake’ outdoor sculpture for sale! I love her ‘antique stone’ finish! 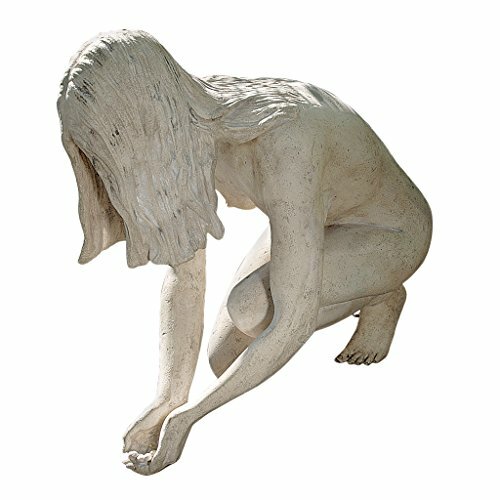 Best Solid Bronze Garden Sculptures for Sale! Realistic Animal Sculptures for the Garden!